Our Support Worker services are designed to assist clients with learning disabilities, physical disabilities or behavioural issues to live a fulfilling and rewarding life as an active member of the community. Our qualified Support Workers can assist with daily living skills, personal care, travel escorts, teaching of independent life skills to assistance with accessing community based activities such as going to college, swimming, work placements and other social and leisure activities. 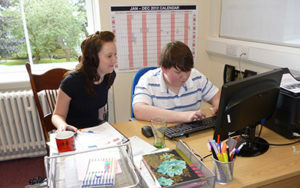 Please contact us to discuss your Support Worker needs with one of our team.